Play Lord of the Ocean™ free online! Time to take the plunge! The slot Lord of the Ocean takes you to a mysterious underwater world full of mythical creatures, sunken treasures and relics believed to be lost. In the deepest depths of the ocean you’ll encounter a Mermaid, Poseidon himself and many other symbols. Will the divine ruler be benevolent in this game and help you earn fabulous Twist winnings? Playing the action-packed slot Lord of the Ocean online is one of the most exhilarating experiences our Casino has to offer! Above all it’s the fantastic game design that makes this Novoline masterpiece stand out from the crowd. And, on top of that, it features a special symbol that grants lucky gamers an awesome bonus! But more on that later. 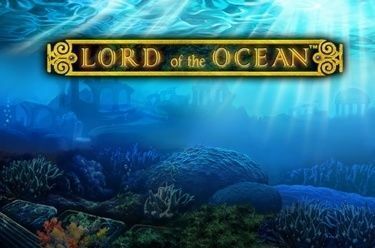 Here you’ll find all you need to know about Lord of the Ocean, leaving you ready to submerge into this virtual slot world and, with a little luck, win Twists galore in our Casino! Just one tip before we begin: online you can find a host of videos dedicated to this game. 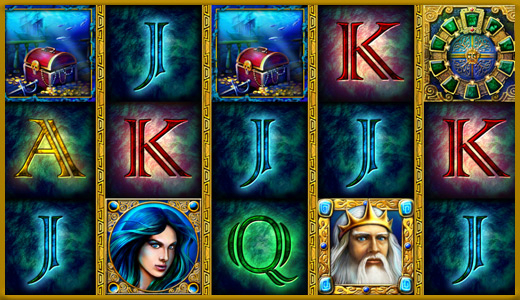 The game Lord of the Ocean is an underwater slot with five reels and up to ten win lines, in which Poseidon, the god of the sea, takes centre stage. Your main aim is to land five matching symbols side by side along a win line. The win lines run from left to right. A Magic Circle symbol brings more excitement to the game, for it acts as the Scatter and Joker, substituting for symbols to land you winnings and triggering Free Spins! Get the Magic Circle symbol (Scatter) three times anywhere on the reels in Lord of the Ocean and you’ll trigger ten Free Games with excellent chances of winning piles of Twists! The Free Games are played with the settings of your last regular round. A Bonus symbol is randomly selected at the start of the Free Games. It can occupy all three reel positions following a win payout and pays like its regular equivalent even in unconnected combos provided enough appear for a win. A special feature of many Novoline slots is the “Gamble” mode. With this feature, players who like taking risks can quickly double their spin winnings in Lord of the Ocean. Click the orange “Gamble” symbol following a round win. You’ll be shown a concealed card on the screen next to two fields: “Red” and “Black”. Your task will be to correctly predict which colour the card is. If you are right, your win will be doubled. And if not, you’ll return to the main game, where you’ll be able to play again and try your luck free of charge provided you have enough Twists! Believe it or not, our Casino is packed with HUNDREDS of different slot machines besides Lord of the Ocean, and many of them are exclusively from top providers like Novomatic. Our titles provide you with a stunning gaming experience not just on your computer but also your mobile and tablet thanks to special customization. In every single case, this is achieved without compromising on quality or the unique appeal of each and every game. This way you can have a great time on your mobile, placing bets wherever you are - on the underground or on your living room sofa! No matter what your taste in games is, whether you prefer mystery, history or a journey back in time, you have come to the right place. In our Casino we offer a host of other games dedicated to historical themes, just like Lord of the Ocean, from providers including Novoline. How about a game about Goethe's masterpiece Faust, the discovery of America in Columbus or similar brilliant slots such as Book of Ra and the game Dolphin’s Pearl? Our fruit slots, including Sizzling Hot and Fruits’n Sevens, are also very popular. The latter even offers gamers the opportunity to play for a progressive jackpot! So, it’s about time you embarked on your next slot adventure, where you might win Twists galore without ever having to think about real money. Do you love a good challenge? Think you can compete with other gamers in our Online Casino? And have you really mastered games like Lord of the Ocean? Then our exciting leaderboard games and special promotions are just the ticket for you to let off steam whenever you want and play for piles of Twists! An overview of our most important promotions and chances to land the odd bonus or jackpot can be found on the homepage of our Online Casino. Because we frequently introduce new online slots from Novomatic and other market leaders, players can regularly enjoy surprises and new opportunities. Now it's up to you to be quick, show initiative and give your fortune a helping hand by being bold with your bets! So, which game would you like to play first? How about the slot Lord of the Ocean?